DIY and Food. Cooking tutorials and reviews on food. Pinterest ideas. I love to create new ways to eat vegetables - from seasoning and herbs, to creative uses and ways to cook them, there seems to be endless options for me to try. 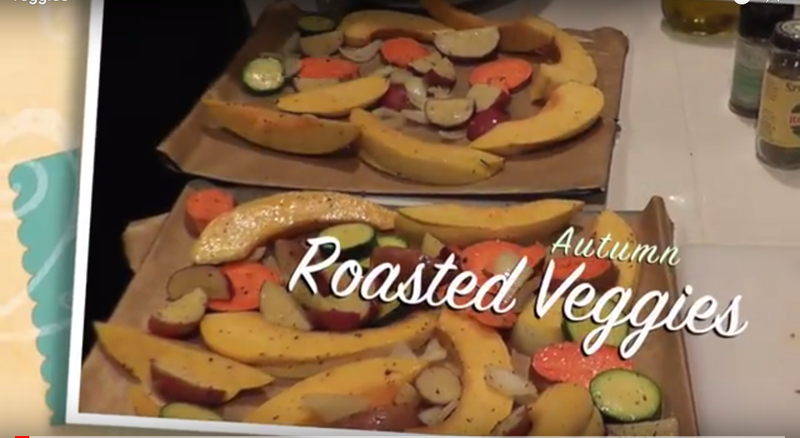 However, when it comes to autumn and winter squashes and other seasonal veggies, I tend to go back to a veggie medley that is seasoned with an unexpected dash of yum: Jamaican jerked seasoning. Whaaat? Yes, Jamaican jerked seasoning. With its subtle hints of cinnamon and spice, it pairs so well with the sweetness of the sweet potatoes and squash, but adds enough savory notes with its spicy pepper seasonings for other veggies, such as red-skinned potatoes and zucchini. Preheat oven to 325 degrees F. Lay parchment paper down on baking sheet. Chop up your veggies. Mix oil and seasonings in a large bowl until well mixed. Toss veggies into oil mixture until well coated and place onto baking sheets evenly. Bake for 30-40 minutes or until fully cooked. Enjoy! Let me know if you try and enjoy it! Every year for the Christmas season, I bake up a storm. 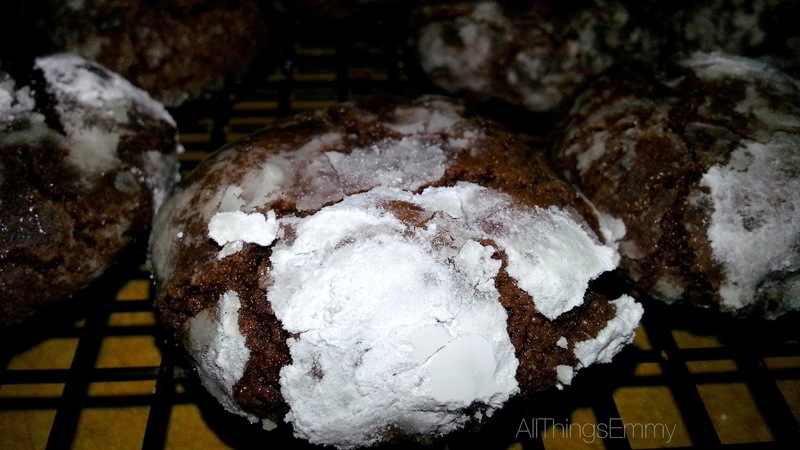 With all the powdered sugar I use up between all my sugar cookies and my chocolate crinkles, I am not surprised that my kitchen does actually look as though a snow storm hit! 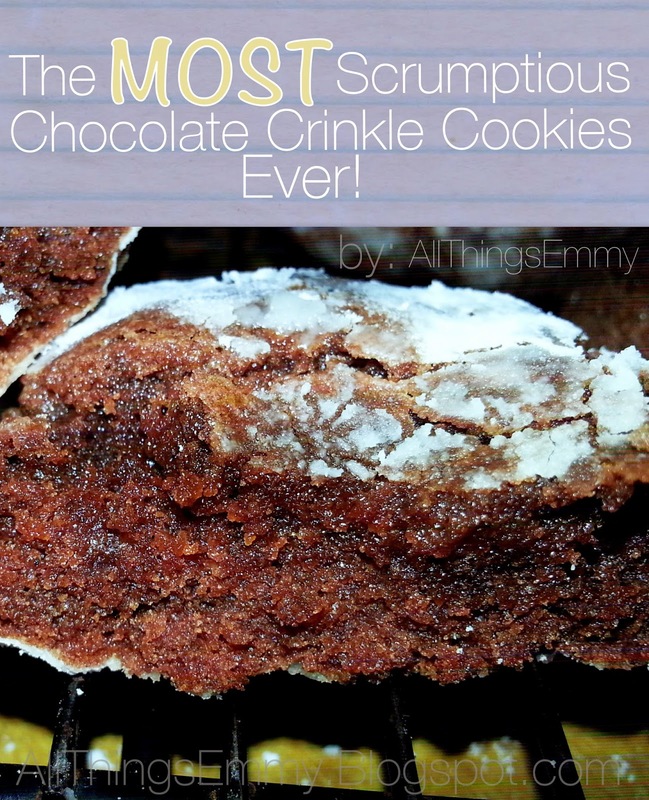 My mom used to bake a lot when I was growing up, and she'd make chocolate crinkles. 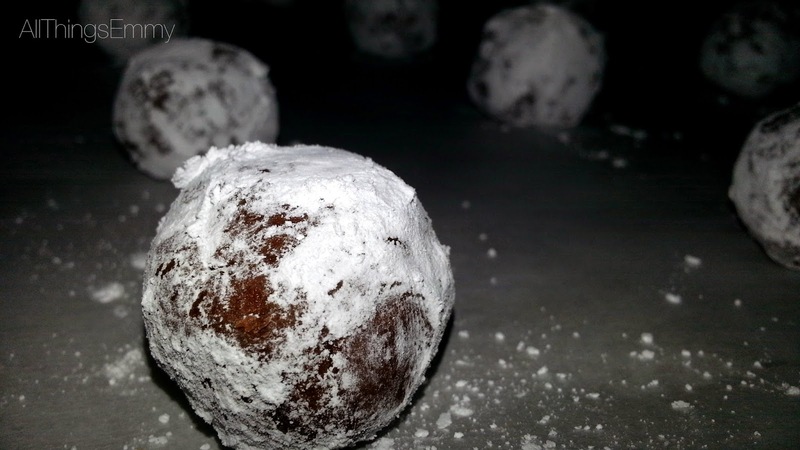 Every Christmas without fail, there were chocolate crinkles scattered on her giant platters, amongst all the other decadent candies, breads, cookies, and various assortments of other confections. Of all, these were my absolute favorite and still are. 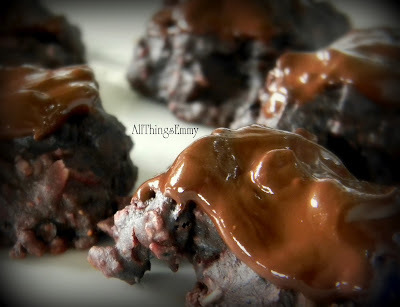 I don't actually know the exact recipe she used though, but I did find a Betty Crocker version that works wonderfully, albeit a few modifications that I like to make (such as using coffee to intensify the bold cocoa flavor) and adding more vanilla to give a nice hue of dreamy chocolate flavor. 1. 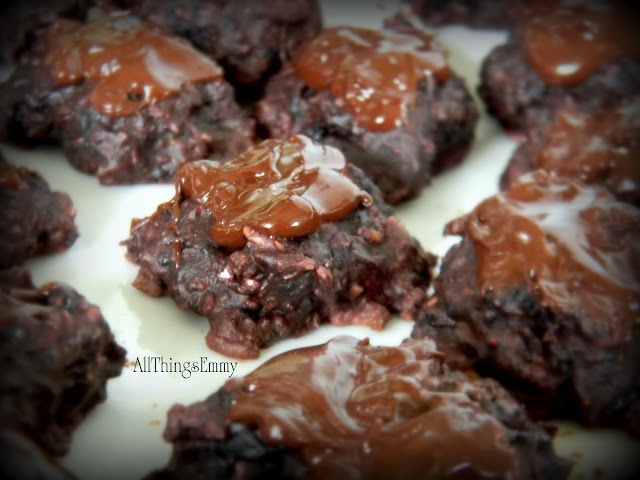 Mix oil, melted and cooled chocolate, sugar, cold coffee, and vanilla together. 2. Add in your eggs, one at a time to allow for even mixing. 3. Add flour, baking powder, and salt gradually. Mixture should form a ball in bowl. Cover and refrigerate for about 2 hours. 5. Line cookie sheet with parchment paper (or grease sheets evenly). 7. Place on cookie sheets about 2 inches apart and bake for 10-12 minutes. 8. Immediately transfer baked cookies to cooling racks. 9. Take caution - these are addicting little treats that are best served with hot cocoa or steamed milk. These are so so good! You will not be disappointed. If you want to try some different intensities of chocolate oomph, I recommend trying it with semi-sweet chocolate - 2 oz semi-sweet, and 2 oz unsweetened. Or, if you want to die from chocolate over-load, try milk chocolate instead (but reduce the amount of sugar used and add a little extra flour instead). Let me know what you think and if there are any other types of yummy recipes you'd like to see, or any fun DIY projects. Hello dear readers! It has been quite some time since I have posted any recipes or food ideas here on this blog, but I do have one for you now using a vegetable that a lot of people completely misunderstand or undervalue, which is a shame since these veggies are packed with high vitamins and other nutrients. When I was little, I wasn't really picky about the vegetables I ate, except for in the case of beets and canned spinach. 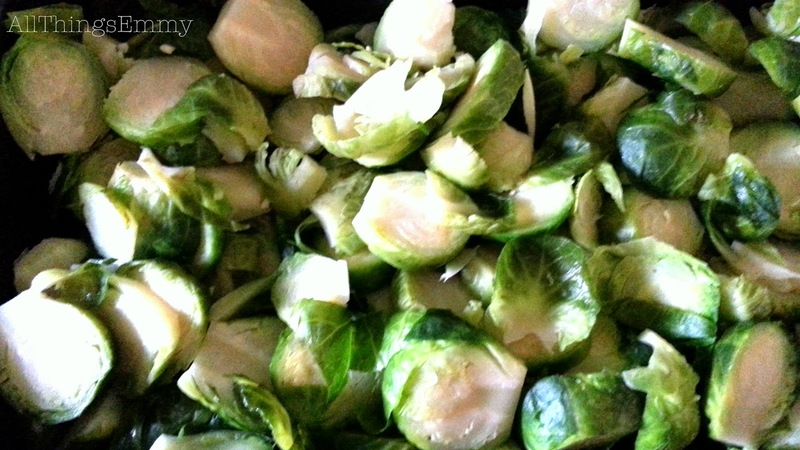 Some veggies, such as Brussels sprouts, were never really an item that made it onto the dinner table since my parents didn't have a huge love for them. Eventually, I grew up to love eating them and am always on Pinterest finding new ways to eat these (and other) delicious veggies. For Friendsgiving Day, (Thanksgiving for all our friend group hosted just before or after Thanksgiving day) I decided to make a veggie side with Brussels sprouts. At first, I wanted only to make a balsamic-maple glaze, but decided on a more "southern" style instead - utilizing the double-b's of fat: butter (affectionately known as, 'buddah') and bacon. After rinsing and straining nearly 2 lbs of B. Sprouts, I added them into a small pot and flash boiled them until the were almost fully cooked. I left them somewhat undercooked though to prevent them from getting mushy from overcooking. These were boiled for about two minutes. 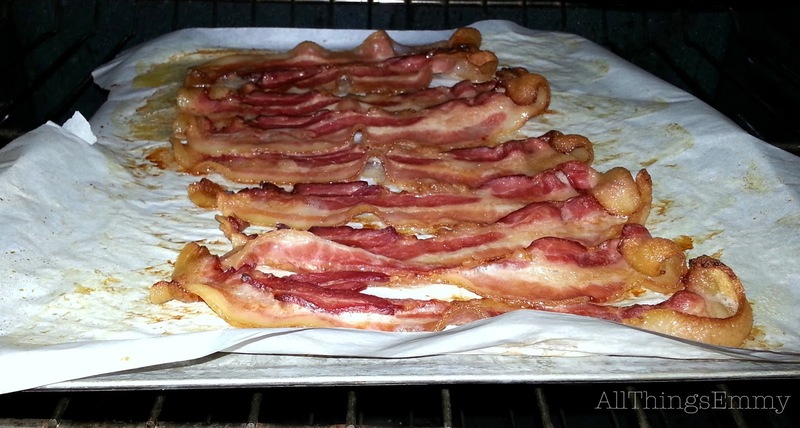 During earlier prep work, adding 1 lb of bacon to a parchment paper-lined cookie sheet to bake in the oven on 350 degrees F. will create a crispy bacon that can later be chopped up and used in the dish later. Out of all the steps, this is probably the most satisfying. 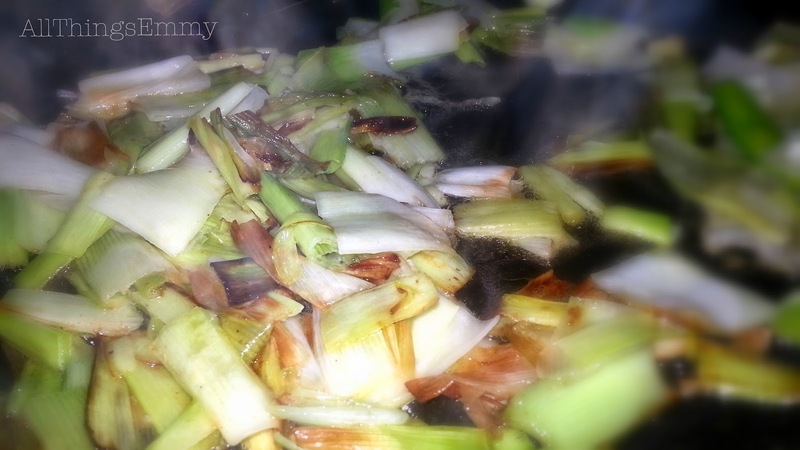 It smells completely fantastic as you add half a stick of butter to a hot skillet and add chopped up onion to caramelizing leeks. This will made your stomach grumble with hunger after smelling this amazing olfactory pleasure. Not that the buttery leeks is enough, I created this cheesy buttery sauce using the remaining half stick of butter with half a package of cream cheese. 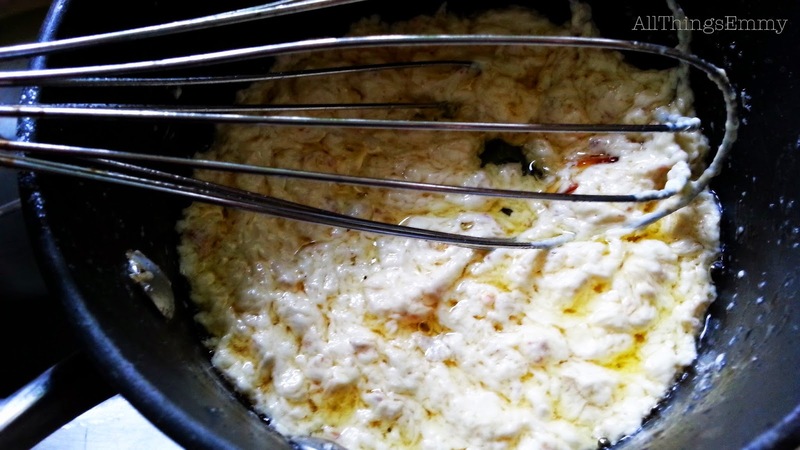 What's important here is that using a whisk will prevent the cheese from getting chunky from the heat, and will emulsify the butter into the creamed cheese. 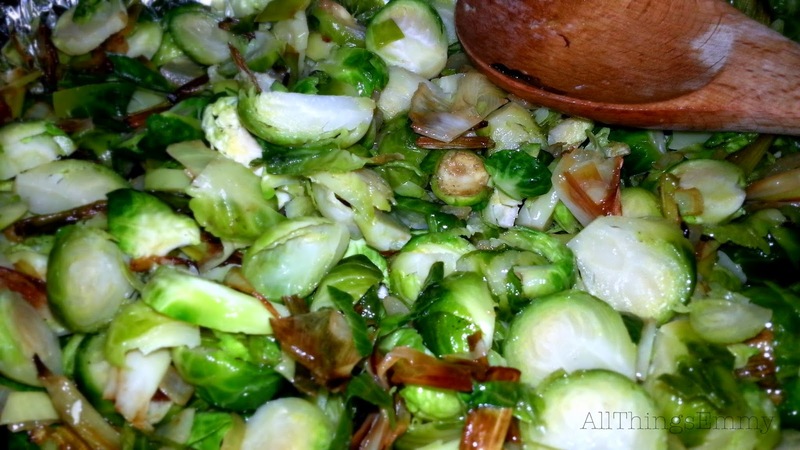 Next, mix the leeks in to make sure that any residue of butter is absorbed by the Brussels sprouts. Then, afterwards, add the remaining ingredients and mix together well. 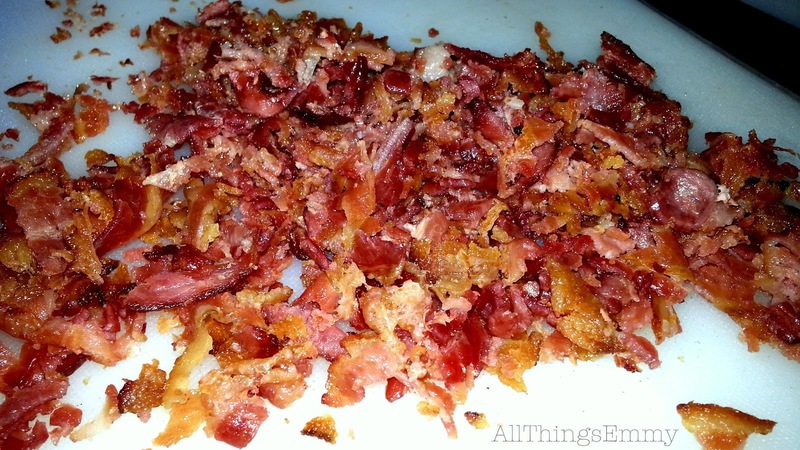 It makes me hungry just to think about the bacon and leek scents combining with the browned butter. Nom nom nom. Finally, add your butter-cheese sauce and coat everything evenly. 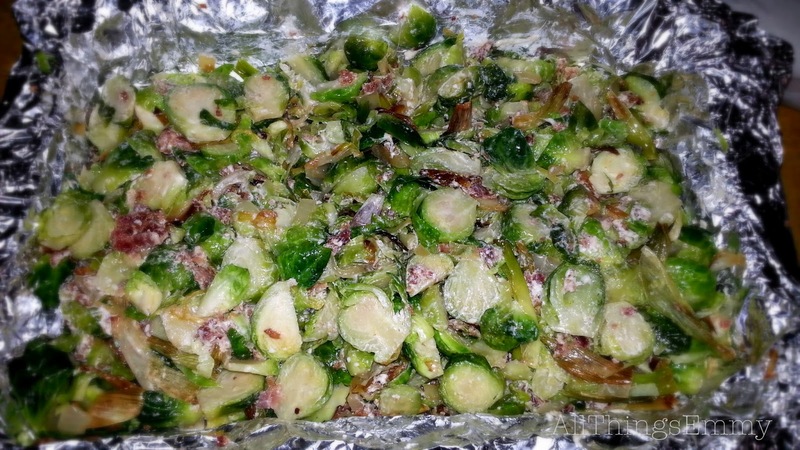 Add your sprouts to an oven-friendly casserole dish, or else line a pan with foil (for easier cleanup) and add in the sprouts. If using foil, be sure to keep the sides opposite from each other long so that you can use it to cover the sprouts when you are baking them. Bake at 350 degrees for about 15-20 minutes. As I said, my friends, even a very picky eater, complimented me on this dish and asked me for the recipe. Yay! I hope you enjoy this post. Please let me know if you have any other requests! Wow, it has been a long time since I've blogged here in this particular blog, sadly to say. As I've started to upload more videos to my All Things Emmy YouTube channel, those uploads will coincide with blog posts here. I recently uploaded a new video to YouTube for a super easy DIY project in making a tiered stand. What's great about this project is that it will cost less than $10 to make, including the glue. I bought the large plates and wine glasses at my local Dollar Tree, but the smaller plate at Value Village. The glue was something I purchased at WalMart, I believe. I hope you enjoy this tutorial! Please let me know if there is anything else you'd like to see. Now before I begin to give you the steps in preparing this delicious and somewhat healthy snack, I must warn you that are dangers to making these cookies. Not only are you going to be tempted, but those around you will be tempted too. They are nutritious, yes, but if you have too many, you'll be in trouble. They are so addicting that I have to call these my little purple cookie monster creations...And yes, they are a very dark purple hue. At one point, I had an extremely bad sweet tooth--I mean, it was so insatiable that even a Yoplait yogurt cup couldn't help me. I sought out to make a delicious and quick confection with the ingredients I had available to me, which ultimately made my confection experiment a 'vegan' one. Even the chocolate used doesn't have dairy... I have never baked vegan before, nor did I have an example recipe for referral. I took the few skills and knowledge I possess in regards to the composition of a cookie and went from there. Having staved off of eggs and butter recently meant I had to find another way to add in the moisture...I went to my freezer and found that I had some organic frozen wild blueberries. I also have agave syrup, vanilla, and water on hand. 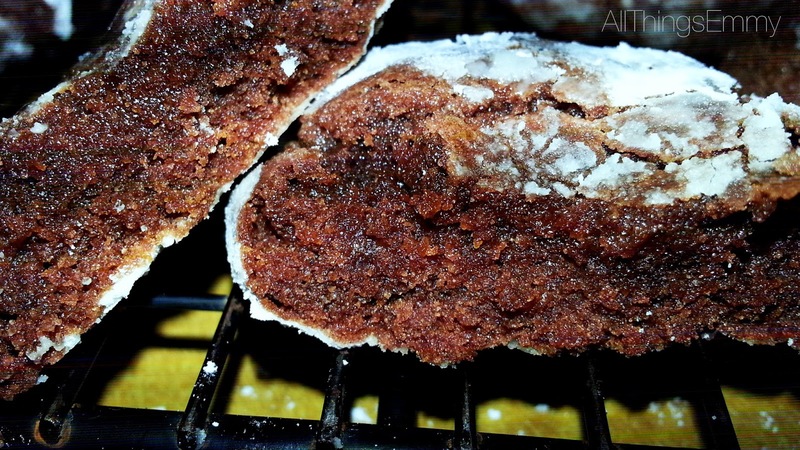 Almond butter also came to mind as it has an amazing creaminess that I wanted to replicate in the cookies' texture. So the dry ingredients felt less intimidating since I did already have flour, baking powder, stevia, (which is easily measured cup-per-cup comparably to sugar) unsweetened cocoa powder, salt, and oats! Chocolate and oats are so delicious together and the last time I had an oatmeal chocolate chip cookie was so easily forgotten because it has been so very long! I knew where to draw inspiration. Yes, you can drool now. The best part about these cookies are their low sugar and high nutrient contents. Using stevia and agave syrup together helps to curb the amount of sugar released into your blood, reducing a sugar spike. The blueberries also have amazing antioxidants and fiber. I even had a couple for breakfast the day after making them. One of my roommates is eating a vegan diet and is very conscientious of what she is eating, and the other eats somewhat healthily too. I got asked for seconds. That is a sure sign of making some delectable treats. The recipe I threw together makes approximately 36 cookies. This a drop-dough cookie and a small teaspoon is about all you need per cookie. Each cookie has approximately 70 calories (yes, I carefully calculated this) and a few grams of sugar (I haven't calculated the sugar content though). Mix all dry ingredients together. Then add in the thawed blueberries. Mix. 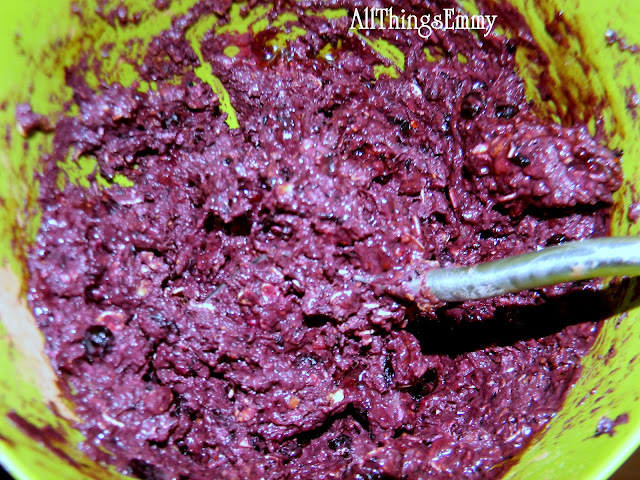 Mix almond butter, vanilla, agave syrup, and blueberry puree together in separate bowl. Using a fork significantly helps if you do not have an electric mixer. 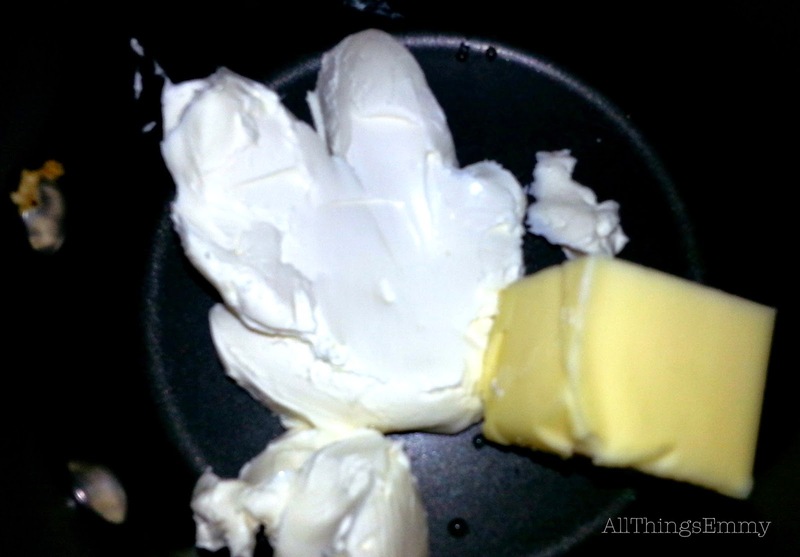 Cut wet ingredients into dry. Because the almond butter is a little tough, you may have to add a little water into the mix to help smooth out the consistency. Use a tablespoon to measure out cookie dough and drop onto greased cookie sheet. Dough will not spread out much, so you can have as many as 15-18 cookies on a standard sheet. Bake 10-12 minutes. They will be firm to the touch if cooked thoroughly. Remove from heat. 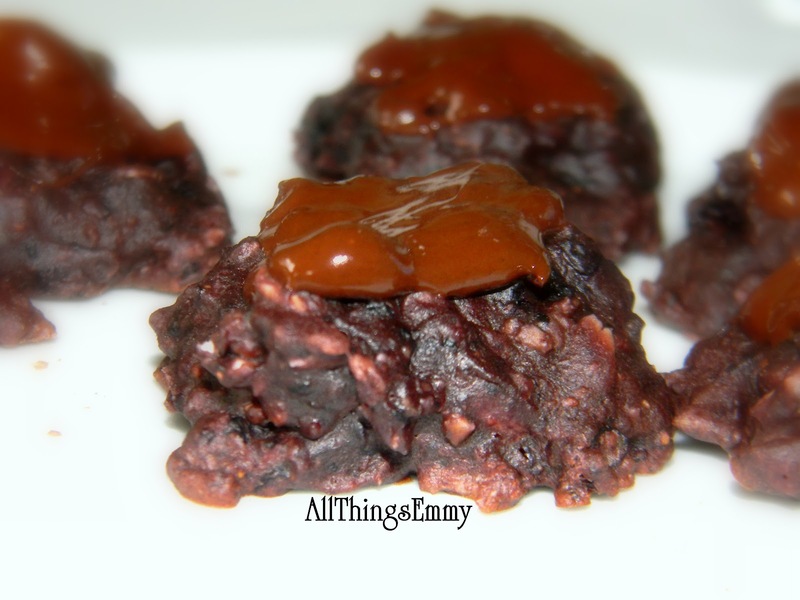 Optional topping: Melt semi-sweet squares on double boiler or in microwave on High for 1 1/2 minutes. Use teaspoon to apply. 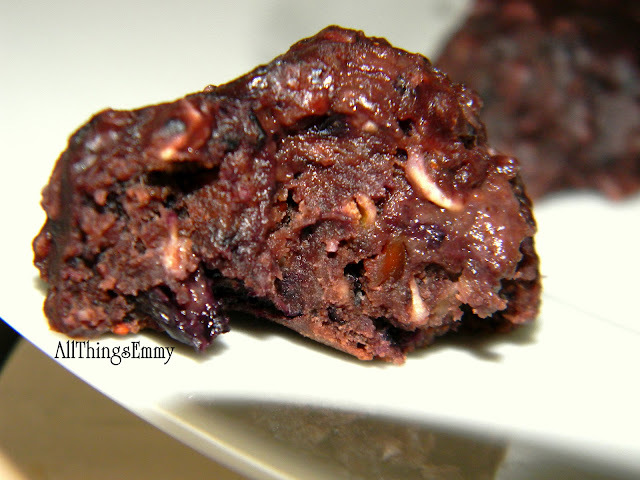 Optional garnishment: chopped nuts sprinkled on hardening chocolate. This is a recipe that I had to carefully remember since I rarely like something enough to have to recreate it for the world in written form. I am so glad I did! Please let me know what you think if you do make them! Good morning and happy almost-summer to you all! Today's yummy concoction is inspired by trying to eat healthily without excess sugar, and incorporating more vegetarian eating habits into my diet. It is very nutritious and delicious, not to mention, there's a huge variety of things you can do to change it up! 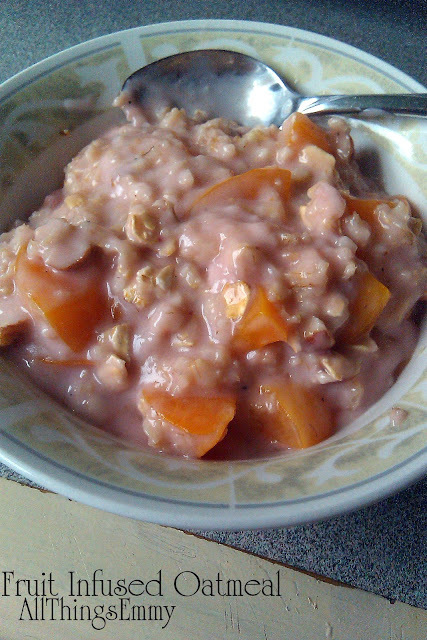 Experts say that eating oatmeal is extremely good for your health, particularly if you have cholesterol issues. 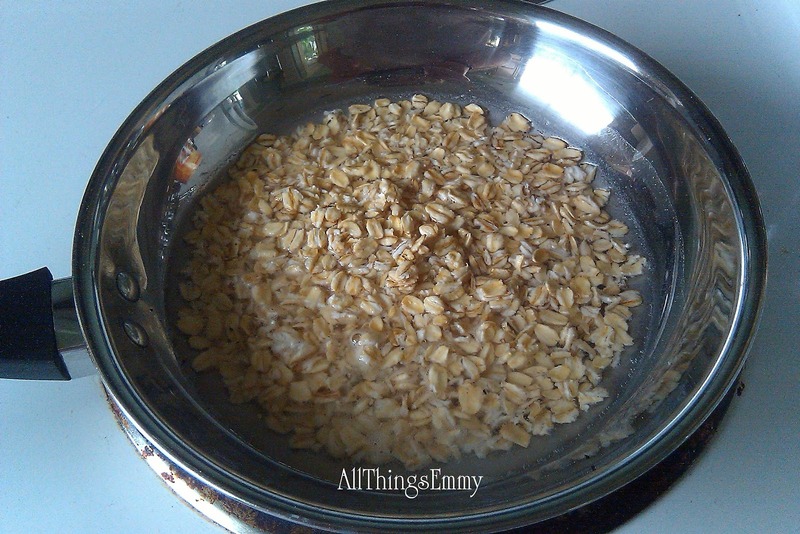 Well, I don't know about you, but oatmeal can get quite bland and boring with the same old milk and sugar routine--even if you add in brown sugar and maple. With all that sugar, however, it starts to deplete the health benefits a little. 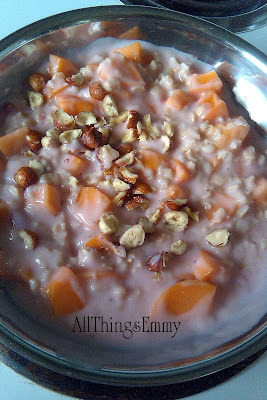 One of my favorite ways to add some variety to my oatmeal is to add fruit. 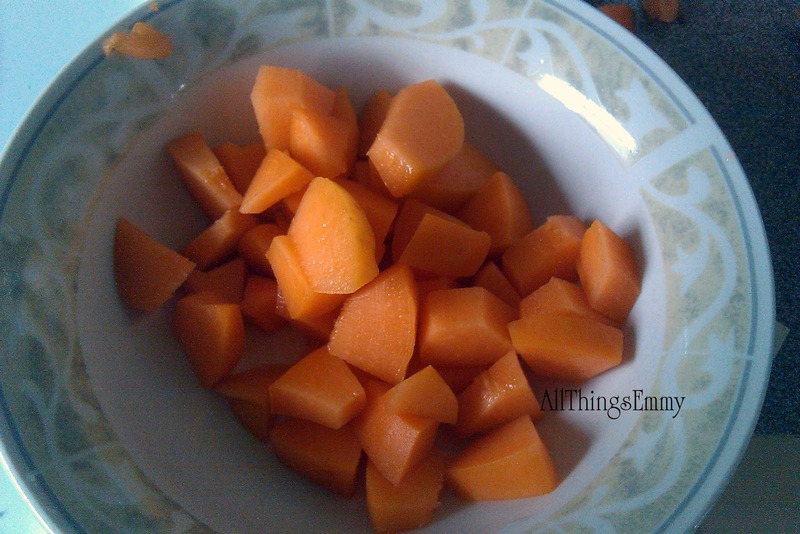 I find that cooking it down a little reduces the tartness and brings out the natural sugars in the fruit. No need to even add any artificial sweeteners! Yay! Here are the instructions (given to you in the form of pictures). Enjoy! With a little water in the pan, add in your oats. Cook on medium heat. Add in your favorite serving of yogurt. It can be low-fat or even Greek. 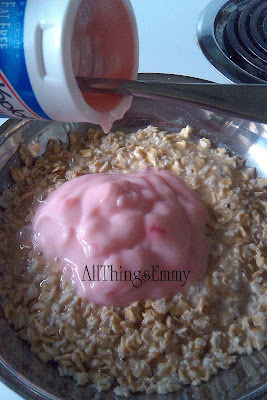 I used Yoplait's Strawberry Banana flavor. Continue to cook on medium heat. Now add in some chopped fruit. I chopped up an apricot that was still a little tart. You can use berries or other varieties of fruit. Let this cook in the yogurt for a few minutes, especially if the fruit is a little tart and/or hard. This part is optional, but you can chop up your favorite nut and add it into the mix as well for a little added protein and texture. These are hazelnuts. 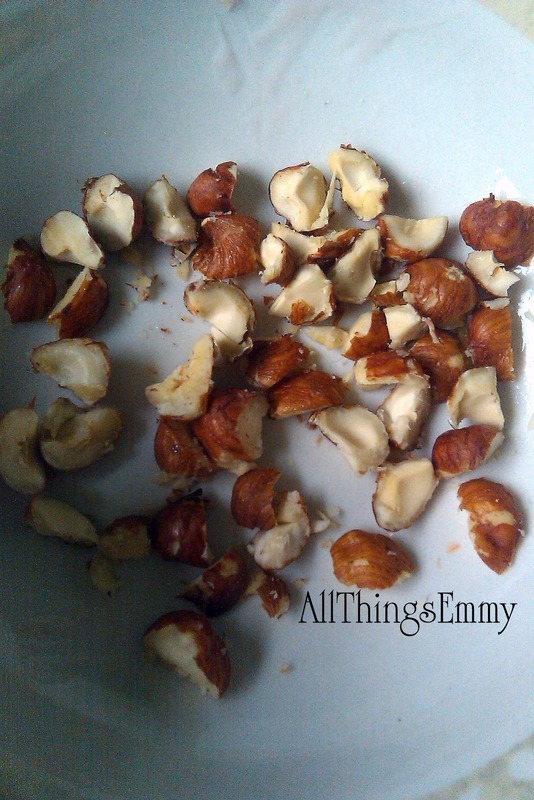 Almonds, walnuts, and even pecans work well. Let everything cook together until the fruit is softened and has absorbed sugar from the yogurt. Reduce heat if necessary. Now you're ready to eat! Have fun mixing flavors and fruits! Oatmeal has 0 grams of sugar, so the only sugar you're eating is from the yogurt--the apricot or other fruits have natural sugars, which are better for you, nutritionally as they come paired with vitamins and minerals, not to mention, fiber. Greek yogurt would be great to use as well, but keep in mind that once you heat it up, the probiotics are depleted. It does have more protein than traditional yogurt, and if you buy it plain, you can add stevia extract for sweetness, and vanilla flavoring. Ta-da! 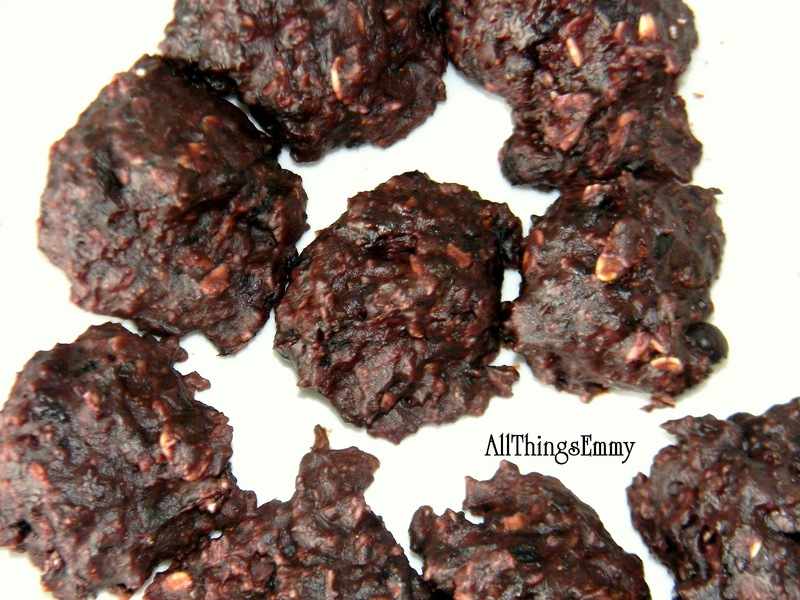 *A note for vegans: this recipe is easily interchanged with a vegan alternative to yogurt. Just find a coconut, almond, or soy-based yogurt and substitute that instead. I know, I know. It has been forever ago since I have updated this blog--between school, Simply Bellezza, moving, and church, I've come to find myself busier than I could have imagined. So, if you are a follower who is not familiar with my more personal blog or my more personal YouTube channel, Emalyce89, then you have missed out on what this year has meant for me. I started off the New Year by attempting the ever-so-popular resolution to lose weight--a desired total of 75 pounds lost this year. I am down approximately 30 or so pounds and did so by beginning the first 35 days or so of the year with a book called The 17 Day Diet, by Dr. Mike Moreno. I won't go much into details about the diet or specifically how it works, but I will say that one of the big changes is to NOT eat any wheat products for the first two cycles (a total of 34 days). In the first month, I dropped a significant amount of weight and have since felt amazingly well. 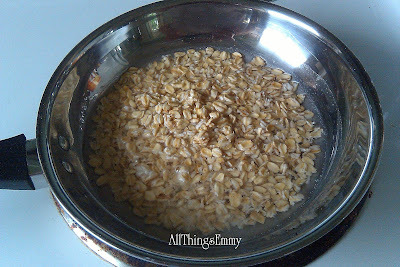 However, upon reintroducing wheat into my diet, I felt nauseated and bloated, in addition to actually gaining weight for the first time in the 2012 weight loss endeavors. Not good. I noticed that whenever I ate any wheat products, I had these types of digestive symptoms; however, when I didn't eat wheat, I didn't have any digestive issues whatsoever. I linked that to gluten. I haven't been formally diagnosed with gluten-sensitivity, but I do notice an enormous difference. My mom was diagnosed with gluten intolerance (not Celiac's though) nearly six months ago. She had gone through her regularly scheduled colonoscopy to be told that she had numerous amounts of polyps forming throughout her colon. She has had digestive problems for years, including nearly fatal bacterial infections that started from inside her colon. Her doctor attributes these issues to gluten-sensitivity. Since she and I have similar symptoms regarding gluten, I have come to the conclusion that I need to back off the wheat products and opt for products that are gluten-free and won't upset my sensitive tummy. So how to do that and where to begin? Well, let's first talk about what gluten is. Gluten is a protein found in wheat and other grains (such as barley), giving it the elasticity and chewiness that you would notice in a slice of white bread. For example, gluten is what gives breads the ability to rise since it holds gases that expand when reacting with yeast. Just as an added tidbit, gluten is not soluble in water, that is, it doesn't dissolve in it. I like to think of this as an oil and water solution--they just don't mix. Gluten will float out and off a ball of dough consisting of wheat flour. Pretty interesting, right? So I wanted to share with you my latest and yummiest gluten-free discovery. It's pretty popular now, but either way, I think I'll share it with you. If you are a sandwich lover like me, giving up bread sounds like being cursed to embrace salads for lunch ALL the time! Not true. There are a few different brands that carry gluten-free bread; it becomes more difficult finding one that actually tastes good without being as hard as cardboard. My solution: Udi's White Sandwich bread. It doesn't gum up at the top of your mouth either, which is the best part! (Especially if you are an avid eater of PB&B (that's peanut butter and banana) like I am!) The serving size is two slices (which is 140 calories). Their slices are about 3/4 the size of regular sandwich bread, which is fine as a dieter, being the perfect size for me, but for anyone else who wants to experience a fuller, larger sandwich, this will be a slight problem for you. The rest of the pertinent dietary information: 3g of sugar, 22g carbs, 3g protein, 1 g fiber. It does contain eggs, so if you are vegan, this is not for you either. Price: According to the Udi's website, it is $5/loaf; however, depending on where you purchase your groceries, it may be less. I bought mine at Fred Meyer for about $4.50. I hope this helps you and if you have any questions or comments, feel free to leave them below! I'll get back to you when I can! Looking to Buy? Shop Amazon!